Things to do on Ibiza when it rains? Do some home decor shopping! Yes, it does rain on Ibiza! Especially when you like to travel in April or May like I love to do the weather still needs to warm up. On my last visit to the island, we had a whole weekend of gray skies and light rain throughout the day. Such a bummer! But what to do on Ibiza when it rains? Well, the answer is simple. Just escape to Sluiz and indulge in some home shopping, fashion hunting, and great food. 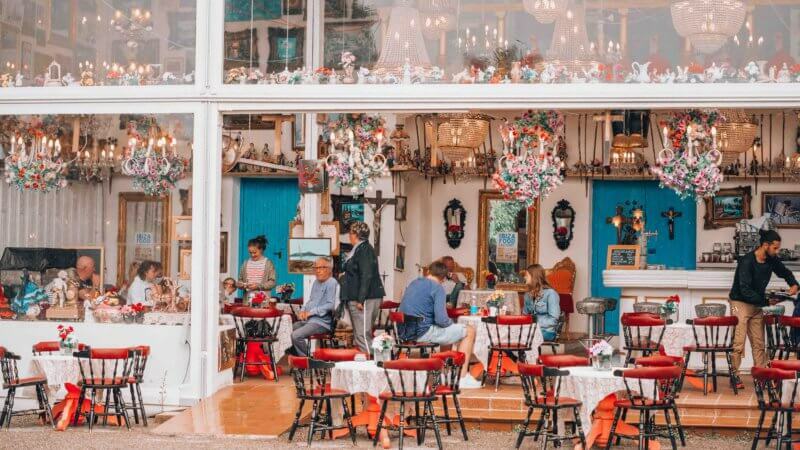 This huge bohemian home decor shop (6000m2) will keep you busy for several hours and even if it's sunny it's a great place to find some inspiration. Expect crazy colors, original art, old mixed with new, but never conventional. 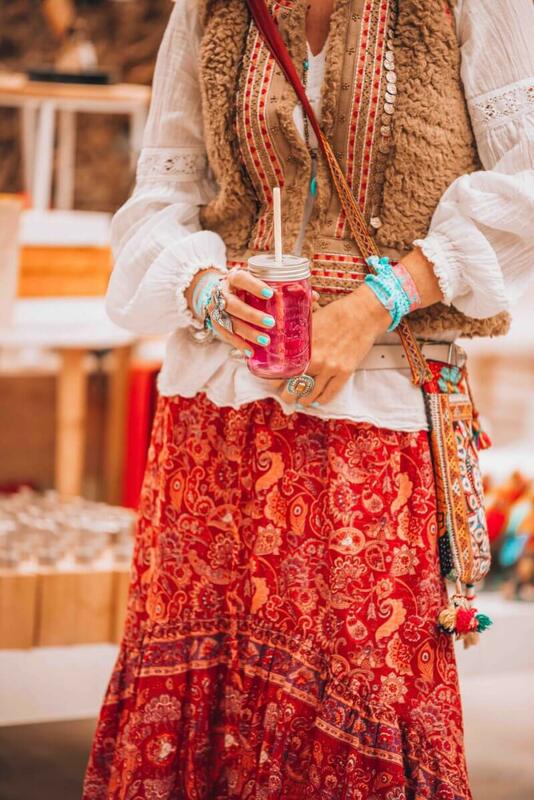 And if you are not into home shopping take a look at their fashion corner where they hold a lot of authentic Ibiza brands as well as their own SLUIZ label. Have you visited Sluiz before? What things do you like to do on Ibiza when it rains? Let me know!